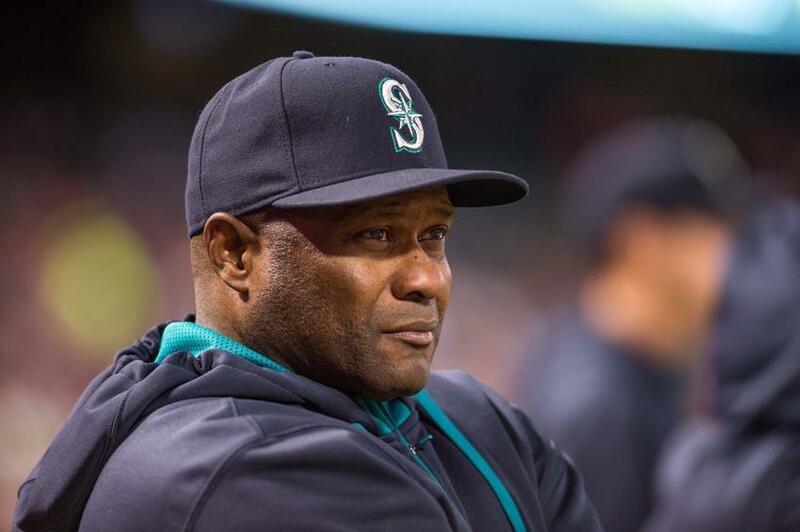 If there is anything I’ve found incredibly refreshing about the Seattle Mariners this year, it’s Lloyd McClendon. It’s clear he’s been around this game a long time. He managed the Pittsburgh Pirates through years of futility. He also had great success as a coach in Detroit with very good Tigers teams. But in listening to him hold press conferences after games, what is really clear is this guy is about winning. He’s not afraid to hold players responsible for their performance individually or as a team. Unlike his predecessors, there is nothing opaque about Mac or what he is thinking. Last night is a perfect example. The M’s had one of their rare offensive explosions and buried the hapless Red Sox 12-3 in what was supposed to be a pretty good pitching matchup between Felix Hernandez and John Lackey. Felix did not look sharp early and Lackey did. Tied 2-2 going into the fourth, Lackey sort of melted away, a bit like a profanity spewing Frosty the Snowman in the June sun. Six runs later, all that was left on the mound was a half eaten carrot. The M’s went tacked on four more off reliever Chris Capuano. The King left the game after the seventh for mop-up by Dominic Leone and Tom Wilhelmson. I hung on after the game was over, even though I was really tired, to hear McClendon’s post-game interview. The question came up, wasn’t it nice the M’s scored so many runs when Felix was pitching, after so few were scored in his previous three gems? McLendon’s response was all you need to know about Lloyd McClendon. It’s not a tough loss for Felix, it’s a tough loss for the Seattle Mariners. We’ve got to stop thinking that way. Felix is no different than any other pitcher on this team, except he’s great. But when we lose a game, we lose a game. When we lose, we lose together. It’s not a tough loss for Felix. We do everything we can to score runs for him. Sometimes it works and sometimes it doesn’t. McClendon identified the the catalyst of the rout, not as the King’s performance on the mound, or Logan Morrison’s two home runs, but Dustin Ackley’s 13 pitch groundout in the 4th that scored a run, and his hustle down the line that kept the inning alive. After that, Lackey clearly, profanely, melted down to such a degree he couldn’t be bothered to hustle to first base to turn the double play. McClendon understands the essence of this game is about winning. To win he has to have the people to do the job, but he’ll mix and match to try to put the right folks in a spot where they can succeed. He’s faced injuries to his rotation, injuries to Saunders, Smoak, and Hart. He’s gotten the best he can out of guys like Endy Chavez, Willie Bloomquist and Cole Gillespie. He won’t smooth the egos of the young and ineffective. If you can’t perform, you won’t play. Ask Stefen Romero. McClendon makes a difference with this team. He wants to win. I suggest Jack Z. and the ownership buffoons get on the train too, and find a way to make this team better so we can all enjoy a ride to the playoffs. World Cup fans, you don’t know what you’re missing. I confess I am not a soccer fan. I played in high school, even played a bit indoors in my 30’s, but those days are long gone. Watching soccer on television doesn’t interest me in the least. I’m regularly blown away by the number of friends who are drawn to the tube every four years, fanatical in their following of the World Cup and are shocked when I am not. Sorry, it’s a meaningless tour of “friendlies” that prove what–the U.S. soccer program still has a long way to go to be competitive with Brazil, Spain, and Germany? And those watching? Many don’t follow MLS, are Sounders or Timbers fans. They don’t have a special allegiance to a team, the sport or a player. It’s really a nationalistic venture: a little USA! USA! makes them feel good. Folks, this will not be the dry land equivalent of the 1980 Miracle on Ice. Meanwhile, far, far away from Brazil, but in our very home town, the Seattle Mariners are a much improved team. As of this morning, they are tied for the last Wild Card spot in the American League with the Yankees and the Orioles. Yes it’s only June 23rd, but it’s been at least half a decade since the last time things were not hopeless on this date. The M’s definitely struggle. They are not a complete baseball team. But what is truly amazing, there is only one truly complete team and that is Oakland, who sadly are in the western division with the M’s. Let’s take a moment to look at who these guys really are. I don’t normally spend a lot of time on statistics. I think that’s more useful at the end of the season, but in this case I think their are some striking numbers that explain their ability to remain in the Wild Card race. The current rotation of Felix Hernandez, Hisashi Iwakuma, Roenis Elias, Chris Young and Erasmo Ramirez are ranked near the top in the American League by most statistical measures. If you like traditional stats, they are second in team ERA at 3.27. If you like BABIP, back to second with .270. Oddly their FIP is only seventh, but I think this has more to do with improved Mariner defense. The starters are strictly middle of the pack in strikeouts, despite the King’s position as second in the league in K’s. They are a little below the mean in home runs allowed. Last year Felix and Iwakuma shone, while the rest of the rotation, with Joe Saunders, Aaron Harang, Jeremy Bonderman, Brandon Maurer and a host of others foundered. There is little question this rotation is better. Though I hate to admit it, even Ramirez gets better with each outing, enough so that he is competitive. He still hasn’t completely found his groove, but he hung in there long enough with the Padres to leave the game after six innings with a 1-0 lead. If Taijuan Walker and James Paxton ever do make it back to the majors, the M’s management will have some very difficult choices to make. Last year, the M’s bullpen was putrid, vile, horrible. Something you made sure not to track in on the carpet. They were next to last in ERA, trailing only Houston. They were seventh in FIP. The Mariners had the second highest BABIP. They were second in walks per nine innings, and fourth in home runs allowed-two numbers that should not come into contact with one another, like matter and anti-matter. But hey, it’s 2014 and life is different. All is cool in the bullpen, and the M’s have one of the better relief staffs in the league. According to FanGraphs, they are numero uno in ERA, fifth in BABIP and third in FIP. They are fourth in K/9 and next to last in HR/9. They are only seventh in walks per nine innings, but improving since the beginning of the year. At the beginning of the season I saw the bullpen as a likely weakness. The players in the pen hadn’t changed much. I had high hopes for closer Fernando Rodney, but his early outings were such a circus those quickly diminished. They let Oliver Perez go to Arizona, where he’s one of the few players not stinking up the joint. But these guys pulled together and pitched well. When a team doesn’t score a lot of runs, a really good bullpen has magnified importance, and these guys have become really good. Last year the Mariners were one of the worst fielding teams on the face of the planet. Perhaps in all of global history. Hyperbole? Maybe, but they were definitely the worst in the American league by a wide margin with a UZR rating of -73, meaning 73 additional runs allowed due to poor defensive ability–either errors, or below average ranges that allowed balls to drop into play. In my run up to the beginning of the season, I harped on poor outfield defense in particular. Last year the M’s outfield combinations of Raul Ibanez, Michael Saunders, Michael Morse, Jason Bay, and a host of others accounted for -58 of that -73 UZR rating. Fast forward to 2014 and the M’s team defense is rated much higher according to FanGraphs. In UZR they are +17.3 and rated fourth. In overall defense they are rated third. Using more traditional statistics they are second. The Dewan, defensive runs saved rating (DRS) doesn’t like them quite as much, showing them 6th, but they are nowhere rated at or near the bottom of the league. Defensive statistics are most reliable measured over a much longer term, so it is unclear whether those I’ve cited are particularly telling, but it does suggest the defense is no longer the threat to success it once was. Defense has a huge impact on a team like the Mariners who don’t score many runs, but have good pitching and play in a lot of tight games. It bails out the pitchers when they make mistakes, and it keeps innings to three outs. Improved pitching, both starters and the bullpen as well as improved defense are reasons the Mariners are better this year. What does that look like? In the month of June the Mariners have given up more than five runs in a game once, on June 12th in a 6-2 loss to the Yankees. They gave up as many as five runs only twice. The pitching was a bit dodgier in April and May, the team is pitching and playing its best defense right now. It’s when we discuss the offense the team becomes more familiar. Offensively, the team ranks near the bottom in every major statistic. According to BaseballReference.com the Mariners are 15th in on base percentage and OPS. 14th in slugging percentage and walks. Despite this, they are 11th in runs scored, ninth in home runs and first in triples. Last year this team scored 624 runs in its 162 games. This year, through 76 games, they’ve scored 301 runs. They’ve failed to score eight times in their 76 games, been held to one run seven times, and scored just twice ten times. As predicted, this team continues to have difficulty plating runners. If you can’t score it makes it a lot more difficult to win games. But there is something gloriously gritty about this team. They have a little more team speed than in years past so they can take an extra base. They take advantage of other teams’ mistakes to advance runners. They sacrifice bunt. I know this is a dirty word today, but when a team doesn’t hit a lot, it’s an important tool to advance runners to scoring position. Their games are fun to watch because they are rarely out of them. They find ways to score runs late to take late leads. Today the Mariners sit at 40-36. They are one of seven teams in the American League that have scored more runs than they’ve allowed at +37. They trail only Oakland and Los Angeles in the size of their run differential. Though the M’s have had some decent if not championship years since 2001, can you name the last year the M’s finished the season with a positive run differential? Try 2003. What does it mean? I don’t think it means the M’s are good enough to win anything meaningful. But because of their improved pitching and defense I think they’ll hang around the conversation about the Wild Card all summer. They will have losing streaks, but they should be short because their pitching and defense are so much improved. They will have winning streaks too, again, likely short because they simply have too much trouble scoring. It is two thirds of a really good team. Is there any hope the offense will get better? Maybe. Justin Smoak, Michael Saunders, and Corey Hart are all on the D.L. Of those three, only Saunders has shown himself to be a consistent producer and a difference maker in the lineup. It doesn’t mean the others can’t or won’t, but they haven’t so far. Will the front office make investments as this team heads toward the July 31st trade deadline? I just don’t have the feeling they will. They passed on Kendrys Morales, though it’s clear the M’s really need a productive DH, and he was available for little cash and would have cost them nothing in players. This isn’t the 90’s. Bats will be expensive, in cash and prospects, and the ever penny-wise, pound foolish ownership group is unlikely to spend. Regardless, this team will hang around .500, play good ball, and should remain around the Wild Card conversation. Maybe they get better, maybe not, but I don’t see them doing a catastrophic nose dive. When the U.S. comes home from the World Cup, pummeled by Germany, failing once more to get into the second round, there will be a pretty good baseball team to watch in Sea-town. Today the M’s won their second game in the weekend wrap-around series in Tampa Bay. Tomorrow the M’s face former Cy Young winner David Price, which presents two problems. Though Price has had his struggles this year, as the Rays limp through the season decimated by injuries, he’s still David Price, Damned Good Pitcher. On May 13th Price pitched the Rays to a complete game 2-1 victory, allowing the M’s a mere six while striking out 12. The M’s will send out, well I don’t know if they’ve announced who they will send out. This is the fifth spot in the rotation. When the season began it was Erasmo Ramirez’s spot. But he was putrid after six starts and was sent to Tacoma to defumigate. Blake Beavan came up to take the fifth spot, but in addition to being awful, he got hurt. Brandon Maurer, coming off the injured list, took over at number five, but he also provided seven shots of execrable before heading to the DL. Ramirez returned to the five hole last week, and was terrible. Today McLendon confirmed he’d be able to continue on his road to respectability again tomorrow against Price. Nothing like a challenge. The M’s are faced with sending out Erasmo to be slaughtered for a couple of reasons. The biggest reason is because Taijuan Walker and James Paxton are injured. There simply isn’t anybody else to write into that slot. Beavan and Maurer are hurt, and the two guys Jack Z. planned to pencil into the three and four spots in the rotation are broken. And it doesn’t feel like they are particularly close. Paxton still isn’t pitching and Walker, surprise, looks really rusty in his rehab starts. Thankfully Roenis Elias and Chris Young are pitching surprisingly well. Their efforts have kept the M’s near the top of the league in pitching after Felix Hernandez and Hisashi Iwakuma take their turns toying with the opposition. So here is my question. How much better would the M’s be if they had signed one of the starters on the market as we headed into spring training? Young would probably be in the 5th spot. Ervin Santana? Matt Garza? Chris Capuano? Ubaldo Jimenez? Ubaldo Jimenez’s grandmother could make great number threes. Injury, especially to pitchers, is a huge part of this game. It was foolish to pass up on established pitching because a team simply cannot have enough. So, tomorrow the Mariners are faced with rolling out the equivalent of a black hole to face one of the best pitchers in the league. The M’s may still win, but it might require an asteroid crashing into the Price home tonight. Then there is the matter of finding hitters to smack Price around. Remember that May 13th performance and the six hits the Mariners managed against him? Would it have been different if Kendrys Morales was hitting behind Robinson Cano? It might, but we’ll never know because Morales is now a Minnesota Twin. Yes, those Twins, presently owning a 29-31 record good enough for tied for 4th in the AL Central. Don’t get me wrong, I’m not a huge Kendrys Morales fan. He’s big and slow, can’t do anything but DH. He’s not somebody we’ll debate about putting into the Hall of Fame. Edgar, Big Papi, or Harold Baines he’s not. But he did have a remarkably consistent year for the Mariners last year. 23 home runs and 34 doubles. No big splits in average from either side of the plate, though most of his power comes from hitting left handed. Morales doesn’t walk a lot and does plenty of whiffing. Did I mention that he’s big and slow? But the bottom line is that he’s much more productive than the guys currently hitting in the DH spot, Dustin Ackley and Stefen Romero. How do the Mariners, working toward contention for a playoff spot for the first time in years, let a valuable piece like Morales get away to the Twins? What do the Twins have the Mariners don’t have, unless we’re simply talking money and possibly years. According to MLB.com’s Rhett Bollinger, Morales will receive a prorated portion of a $12 million salary, or $7.5 million for 2014. In the media there have been hints the M’s are strapped to add more payroll. Baseball Reference.com shows the current M’s salary at $90.3 million. I confess not to being much of an accountant, but it seems silly that in a year in which the Mariners are improved, attendance has ticked up a bit, and the team is reaping the reward of a much larger chunk of national broadcasting revenue as well as local media revenue from their local Root Sports network, the Mariners would claim poverty. So tomorrow the M’s will wrap up their series in Tampa Bay facing a really good pitcher, knowing they’ve made some choices that makes winning much less likely. They’ll have a bad pitcher facing a former Cy Young winner. How bad? Erasmo Ramirez has an ERA+ of 56 (league average is 100.) Ramirez has a WAR of -.5. That’s bad. They’ll also send out a lineup that has at time struggled against average pitching. They had a chance to improve that lineup, but instead they passed. Let the Twins have Morales. David Price’s job just got easier. Any idea when the last time was the M’s were four games over .500 on June 8th? It was 2007, seven seasons ago. Though the Mariners didn’t go on to make the playoffs, it left the fans hungering for 2008. Perhaps Mariners management should consider what it takes to make this team a winner. Didn’t Chief Financial Officer Kevin Mathers promise additional spending if it was needed to improve the team? Where were you this week big guy? Sphincter spelunking? In case you didn’t get to watch the game, the Mariners beat the Rays today 5-0. A first rate pummeling, right? Another awesome King Felix Day, right? A little payback for Erik Bedard’s shutout on Friday night, right? You didn’t watch the game did you? These are the kinds of games I love. A classic pitcher’s duel between two pitchers, Felix and Chris Archer matching each other inning for inning. The M’s had a great scoring opportunity in the 5th when they loaded the bases with one out, but James Jones struck out and Robinson Cano lined a ball to the left field wall where Matt Joyce hauled it in. The Rays had their chance in the 7th against a tiring Felix. With one out Ben Zobrist singled, stole second and Felix wild pitched him to third. With catcher Mike Zunino blocking at least three balls in the dirt, any of which would have scored Zobrist if they’d gone through. Felix struck out Joyce and Yunel Escobar to set a career high of fifteen in seven innings. With both lineups unable to do much, it was left to the bullpens. In the eighth it was Joel Peralta for Tampa Bay, while Lloyd McLendon sent out Yoervis Medina. While neither was flawless, both walked off the field at the end of the inning with zeroes on the scoreboard. In the ninth manager Joe Maddon trotted out closer Grant Balfour and he was amazing, quickly striking out Dustin Ackley and Cole Gillespie. But something happened between Gillespie dragging the wood back to the dugout and the flailing Brad Miller stepping into the batter’s box. With Miller down 0-2, he bounced a ball over first baseman James Loney’s head into the right field corner for a triple. Willie Bloomquist walked. Endy freakin’ Chavez lined a pitch out of the strike zone just beyond the glove of a diving Escobar for a single to drive in Miller for the go ahead run. M’s in a position to win, right? You know the final score. James Jones lined a ball over right fielder Kevin Kiermaier’s outstretched glove to pick up Bloomquist and Chavez, and ended with a triple of his own. Robinson Cano walked and Kyle Seager followed with a two run double. All with two outs. Miller, Chavez, and Jones each got their hits with two strikes. When Miller stepped into the batter’s box the Mariners were doomed to a battle of bullpens with the Rays. When Charlie Furbush walked off the field in the bottom of the ninth after retiring the home team in order, the M’s could leave the field grinning like devils who just sent their foes to hell, like pirates that just savaged a treasure ship and killed the crew, like a team of losers that suddenly found themselves four games over .500 with a 1.5 game lead over their closest competitor in the Wild Card race. But the best thing about baseball? They get to do it again tomorrow. Though I could only glimpse bits of the 2-0 Mariners win over the Braves on Gameday while trying to guide our future leaders to enlightenment, Hisahi Iwakuma pitched our fearless lads to their fourth straight win against no losses in June. On June 4th, 2014 it is written that the Seattle Mariners are a sweet 31-28, .525 winning percentage, and at this moment are virtually tied for second place in the AL West with Anaheim. Though they remain sixish games behind a highly talented Oakland A’s club for the division lead, they find themselves at the top of the Wild Card standings-with most of the rest of the American League snapping at their heels. In 2011 your Seattle Mariners were a surprising 30-28, 2.5 games behind the Rangers. But because they were the Mariners they couldn’t foresee that a scant month away they would embark on a 17 game losing streak. In 2010 the Mariners were 22-32 and seven games behind Texas. Yes, it’s only June 4th, and we can’t become giddy with three games over .500 until August 4th, or better yet September 4th. Even so, the Mariners pitching situation has kept games close enough for their sub-par offense to battle. The team won 2-0 today, but they also came back to win 7-5 last night in Atlanta. They even pounded the Yankees in their home park 10-2. Does it prove anything? It might show that many of the long-dormant elements in the Mariners line-up are beginning to awaken with the warmer weather. Elements not named Smoak. It’s been different hitting stars each night–Kyle Seager on Sunday, Stefen Romero and John Buck, last night, Cole Freakin’ Gillespie today. More and more I hear stories about the Mariners locker room. That this team has more team chemistry, is more like their feisty manager, Lloyd McClendon, that they fight for each other. That can only be a good thing, one of those intangibles that SABRheads don’t like to talk about. Another area where the M’s show improvement is in the outfield. Though FanGraphs doesn’t seem to much care for James Jones, the outfield that was a hideous -58 runs allowed last year, seems to be better. Saunders is a plus outfielder in right, Gillespie and Endy Chavez are plus outfielders and Dustin Ackley is a slight minus. Romero is rated poorly in right and Jones has a UZR 150 of -10.1. They’re small sample sizes, so it will be interesting to see how things turn out. But there is a correlation to an improved outfield difference, with athletic players in their proper roles, and the improved performance of the pitching staff, particularly the bullpen. Yes, it’s only June 4th, but the M’s are three games over .500. They’re tied for a wild card spot, and they are one of the few teams in the American League with a positive run differential. There are many reasons to be positive. But for now, just hold on tight and pray there aren’t any 17 game losing streaks hiding in the weeds.